SpotDraft recently raised $1.5 million in a pre-series A from Binny Bansal’s 021 Capital, Freshworks CEO Girish Mathrubootham, among others. The legal tech startup offers contract creation, management and analysis. Indian unicorn entrepreneurs are turning into investors with a purpose – to help startups scale. A small Indian legal tech startup has been able to do what many early-stage entrepreneurs only dream of. SpotDraft has recently raised $1.5 million in a pre-series A round from Binny Bansal’s 021 Capital and several marquee investors like Girish Mathrubootham (Freshworks), Peeyush Ranjan (VP Engineering, Google Inc – former CTO Flipkart) and Indus Khaitan (Chief of Growth, Chargebee) among others. SpotDraft, which started off as an online platform to help people create contracts and automate their invoices, has evolved to offer contract creation, contract management and contract analysis. For example, it claims it helps businesses create a solid legally-binding contract, which they can negotiate and explore online. Its Machine Learning and Artificial Intelligence-enabled services allow them to share with entrepreneurs the good, bad and ugly aspects about the contract. It can quickly help identify compliant and non-compliant clauses of a contract. 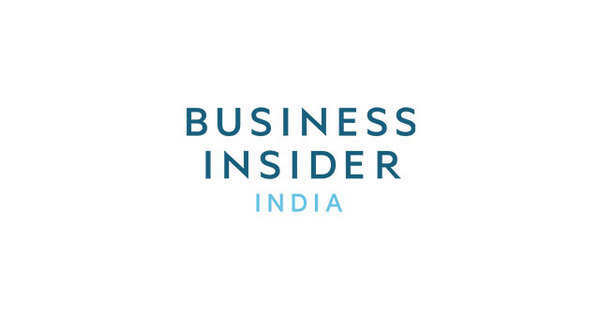 Shashank Bijapur, CEO and co-founder, SpotDraft spoke to Business Insider to spill the secrets on how they convinced the marquee investors to place their bets on a startup which is just about two years old. According to Bijapur, what worked for them was the value proposition of the business. “At a high level, the problem statement and solution were very clear. Legal as a problem is ripe for disruption making way for complete automation of legal processes that a business has to undergo,” he said. Legal paperwork is one of the many hurdles that businesses and entrepreneurs face, especially in a market like India where these tend to be time-consuming. Compliance is also increasingly becoming an important exercise, as regulations become more complex. It also helped that Bijapur, a Harvard law grad and Wall Street lawyer and his co-founder Madhav Bhagat, a Carnegie Mellon graduate and Google, New York employee, had their background to vouch for them as well. With the funds raised from this round, it is looking to focus on growth in terms of team, sales and development. In the near future, it plans to expand geographies to Europe, US and Middle East, while also looking to grow revenue 10X over the next 12-14 months. The investment is also the latest example of Indian unicorn founders turning into evangelists for startups in the country, through mentoring and investments. Many aren’t just looking at being moneybags but also contribute to the success of other startups. “As founders, the access to capital may not have been as difficult as finding the right people for your business – people who can take us from 0 to 1. The value that these investors brought on board is immense and even before we were given the term sheet, we were introduced to half a dozen clients,” said Bijapur. Currently, the startup has over a dozen multi-national corporations as well as 1,000 SMEs as customers. Among its customers include Wipro, Goodtimes and The Circle, according to the company’s web site.